Mental diseases are dangerous because they cannot be seen in the outer body. A great observance can only help a person in finding out what is wrong with the mental health. 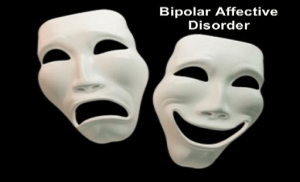 In this article, today we are highlighting the disease bipolar affective disorder. We are telling you each and everything about the disease that you should know and understand. This would help you to get to know the disease better and hence you can fight with it in a better manner too. Also referred to as manic depression, is a kind of mental condition where a person suffers from extreme shifts in mood. Here patients may spend weeks feeling like they are on top of the world and after some time they may feel depressed from everything around them. The duration of shifts in mood differs from person to person. It is a psychiatric diagnosis for a mood disorder in which people experience disruptive mood swings. Though there are many other definitions of the disease but mood swing is generally termed to be the best way to describe the same. How Many People Suffer From Bipolar Disorder? About 1 in every 100 adults has bipolar disorder at some point in their life. Both men and women are equally affected by this kind of mental problem. Teenage is the time when the disease develops; the symptoms can be noticed amongst people between 15 and 30 years old. As per the many researches which have been conducted on the disease so far, there are many reasons that have been emerged for the disease cause. But there are certain factors such as genetics, hormone and brain chemical imbalances and stressful life that can cause this kind of mental problem. Genetics: According to some studies, it has been found that at time bipolar disorder can be due to genetic contribution also. People having someone in the family with bipolar disorder have a higher chance of having this problem in future. Till now the genes that cause this problem has not been identified. Stress: Too much stress in life can also be the reason behind bipolar disorder. Stress can lead to drastic or sudden changes in mood which can trigger this kind of problem. Hormonal Imbalance: Whenever there are hormonal imbalances in the body, the chances of having the problem of bipolar disorder becomes higher. Changes in the Brain: Physical changes that take place inside the brain can also lead to this kind of mental problem. Especially, neurotransmitter imbalance can cause bipolar disorder. Neurotransmitter facilitates the communication between brain cells. Traumatic Event: Some kind of traumatic event may also be the reason behind bipolar disorder. Traumatic events can range from death of a loved one, changing location, losing a job to anything that can cause stress. Other than these reasons, sleep deprivation, abnormal thyroid function and circadian rhythm disturbances can also cause bipolar disorder. At the same certain medications, most notably antidepressant drugs can also be the reason behind this kind of mental problem. Bipolar disorder can be of different types. It can be broadly categorized into three types –Bipolar Type I disorder, Bipolar Type II disorder and Cyclothymia. A person is suffering from Bipolar I Disorder where there is at least one manic episode or mixed episodes. The episodes can be with or without depression. However, most patients have had at least one depressive episode. A person is suffering from Bipolar II Disorder where there are one or more episodes of severe depression and at least one hypo manic episode. A hypo manic state is less severe than a manic one. Also known as Cyclothymia disorder, this is a milder form of bipolar disorder. It consists of cyclical mood swings. Here a patient suffers from numerous mood disturbances, with bouts of hypo manic symptoms which may involve periods of moderate or mild depression. In order to diagnose the type of bipolar disorder, a doctor needs to keep track on how quickly a patient moves from manic episodes to depression and back again, as well as how severe the symptoms are. The problem of bipolar disorder can cause drastic mood swings. A person can have both extreme high feelings and low feelings. In between, a person also has periods of normal moods. These highs and lows periods are known as episodes of mania and depression. So, people with bipolar disorder show signs of depression and mania. Knowing a disease can only help a person to get over it. The above information provided for bipolar affective disorder would surely help you in understanding the disease better. If you are looking for the best doctor for bipolar affective disorder treatment in Delhi then you can contact Dr. Shashi Bhushan. He is a relied psychiatrist in Delhi with a good qualification, knowledge and experience in the field.